Coming June, two important events take place in the same week in the Netherlands. Mycelia and SacO2 will be represented. 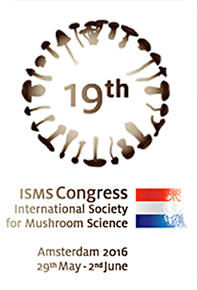 Come and visit us on our booth n°19 near the entrance during the Mushroom Days in Den Bosch and look for our newest creations and research results. The week after the ISMS and Mushroom Days, we organise our annual group training on the production of spawn. Don't miss the opportunity to combine these events! Or visit us in our booth during the ISMS conference in Amsterdam from 30 may to 2nd of June. We hope to meet you in Holland in May and June!